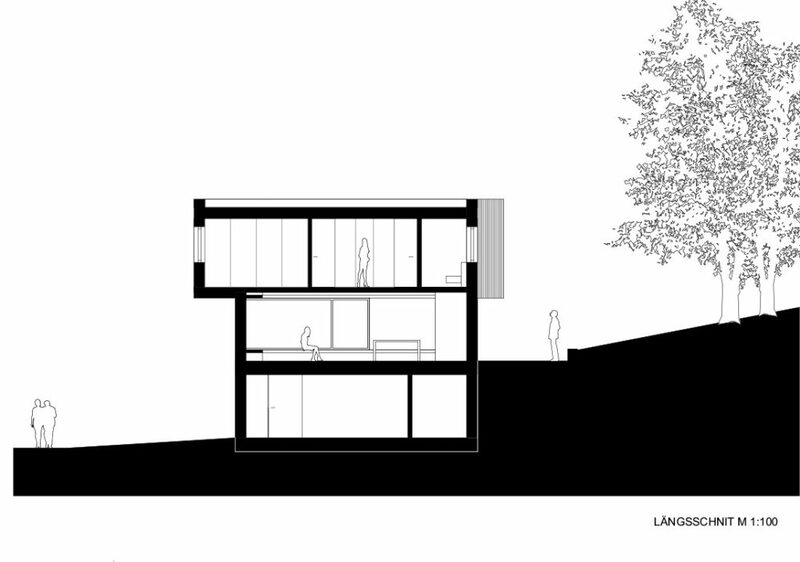 House under oaks 2 is a part of an overall concept of the Gardenstrasse in Eichgreben. 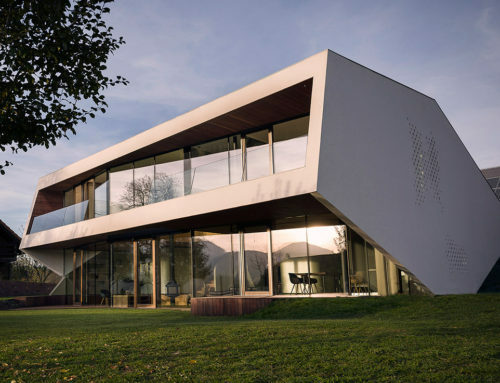 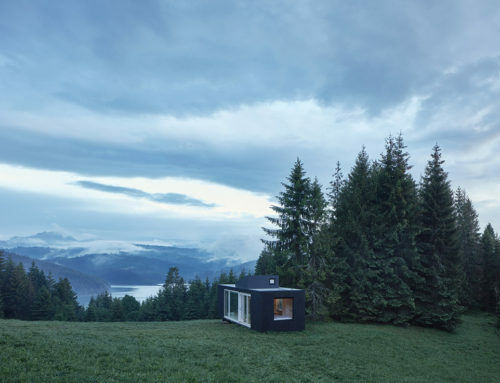 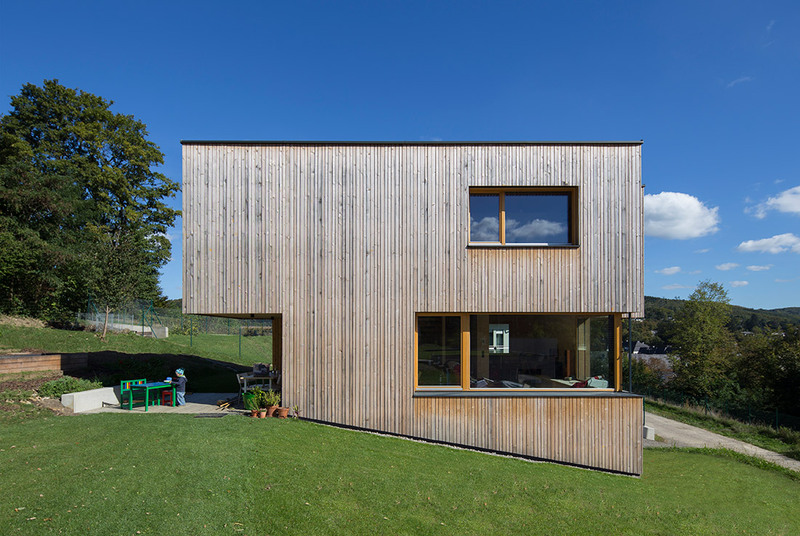 Located in the middle of Wienerberg´s highlands, takes advantages of natural surrounding and fits into the hillside, without major landscape modification. 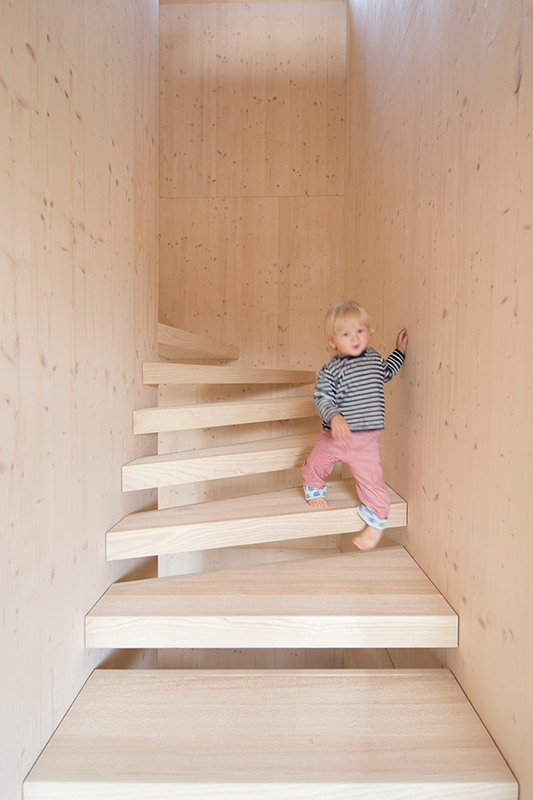 Despite modest size, building contains three story and is able to accommodate 4-person-family. 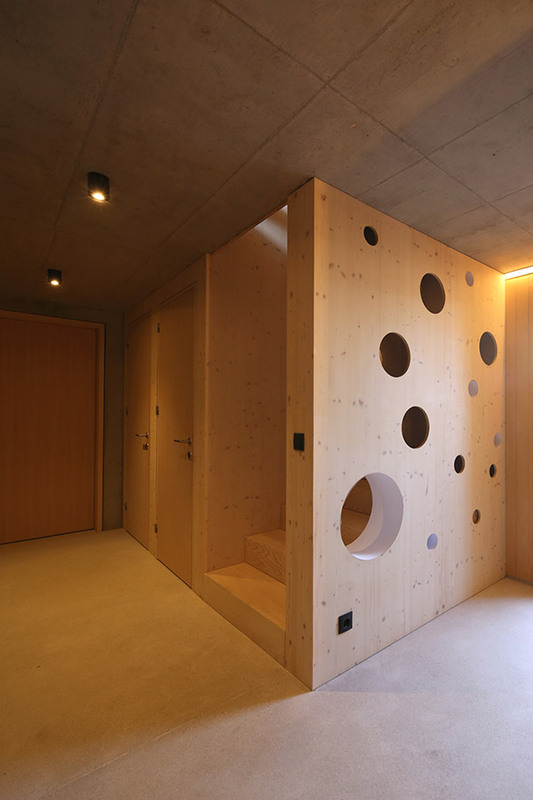 The main idea was to use us much sustainable resource and natural, local materials as it is possible. 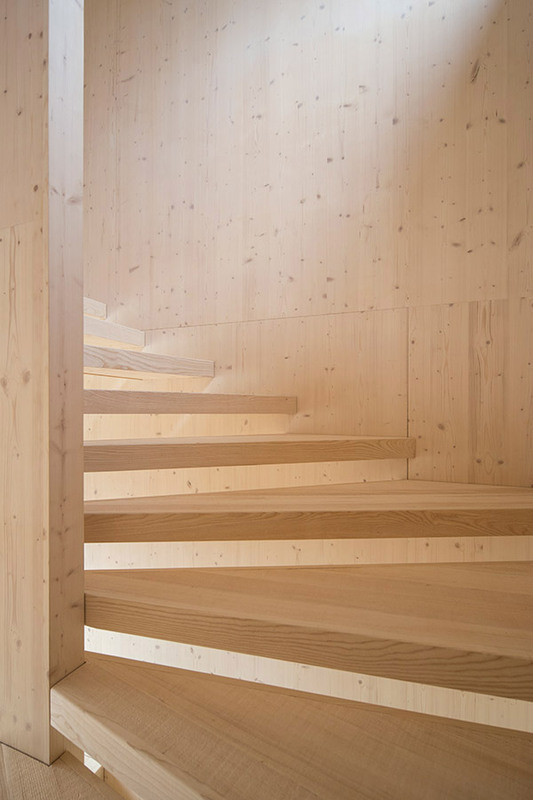 The construction consists of the massive timber. 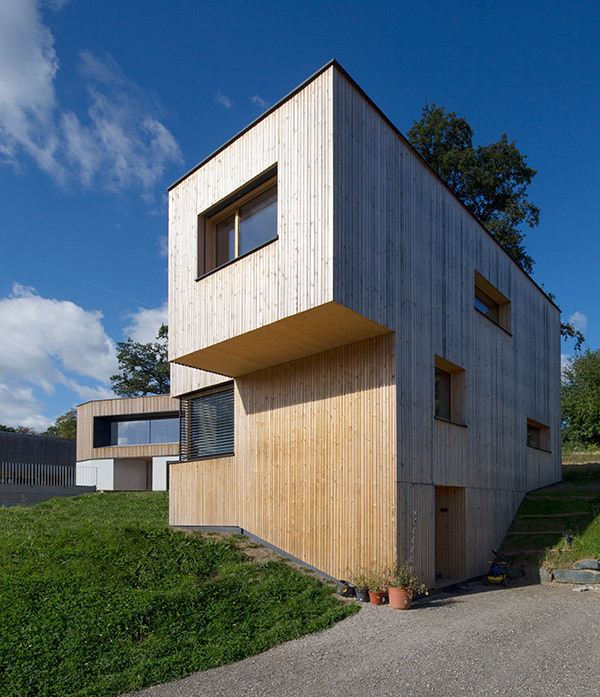 House is heated or cooled with the ground source heat pump, reducing household expenses and ecological footprint. 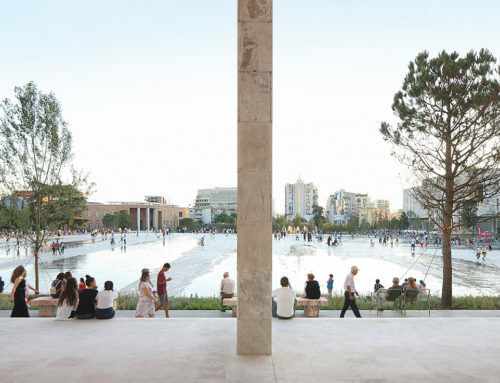 Due to the compact form, ground plans had to be planned as much effectively, and contains almost none circulation area. 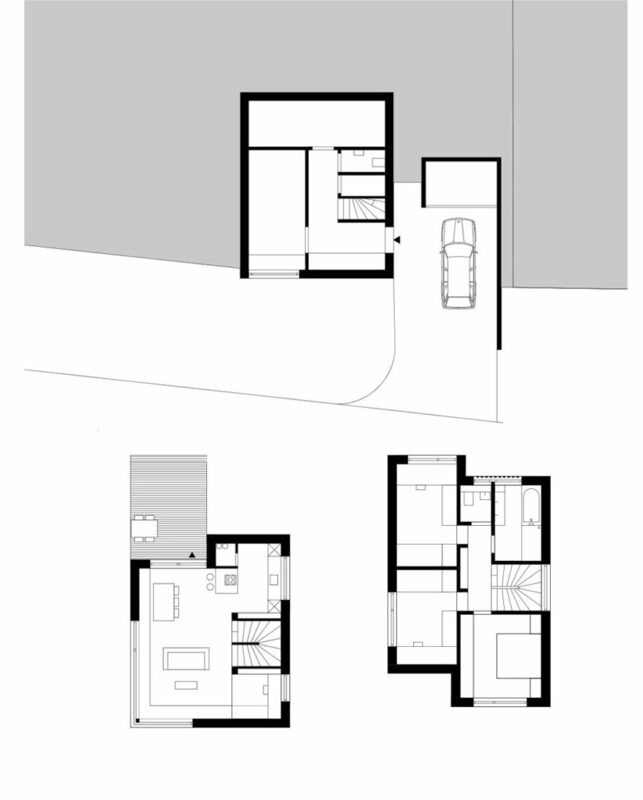 House levels are divided into three areas – ground floor with the entrance zone, first floor with the living area and second floor with the sleeping area. 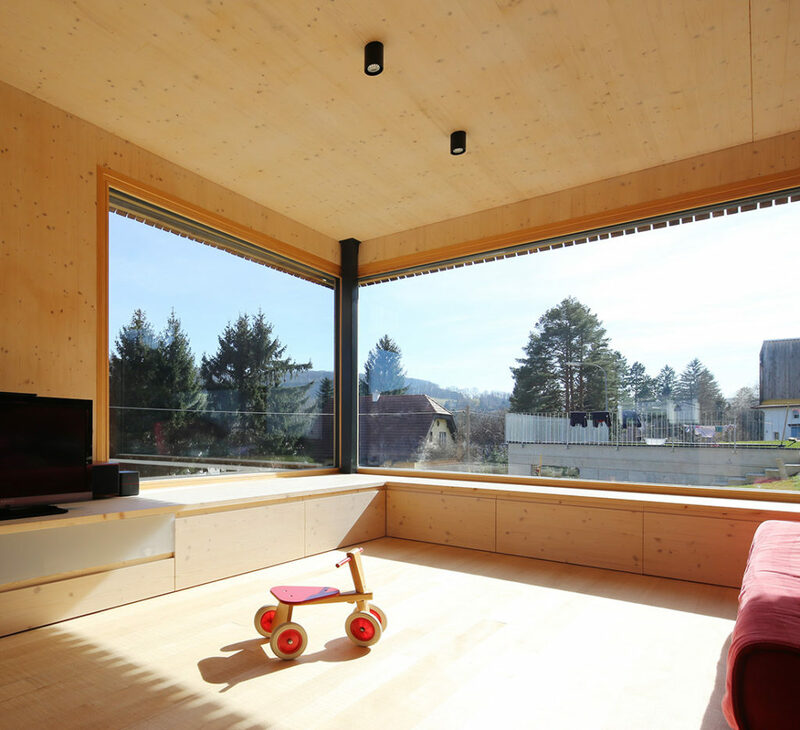 Rooms are linked with the landscape through the wide windows, allowing to maximize use of natural light. 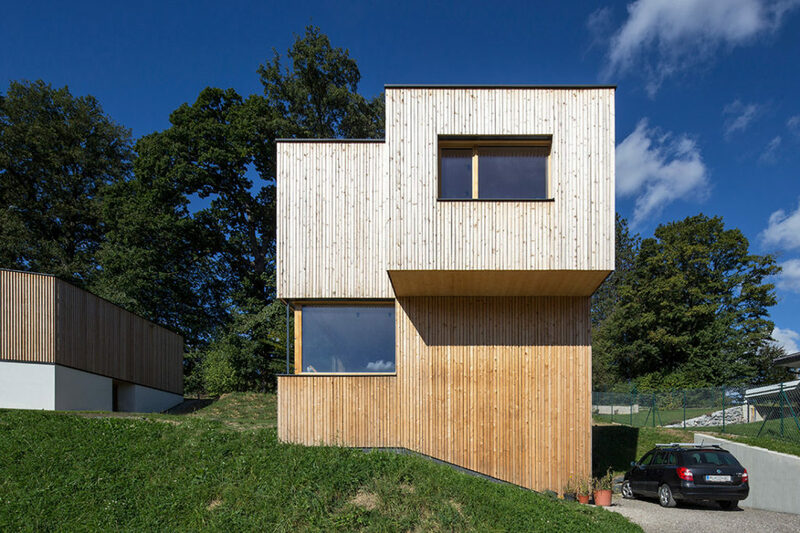 House under oaks 2 is an elegant example of sustainable way of building and thinking. 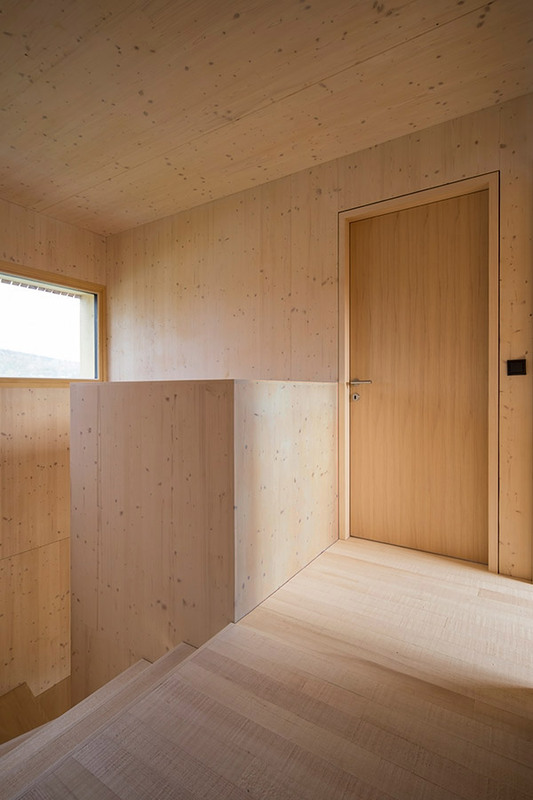 The real charm of the house, however, appears in its inside, where the smell of wood, warm texture of floor and view on the valley connects viewer with the Wienerwald.